1. 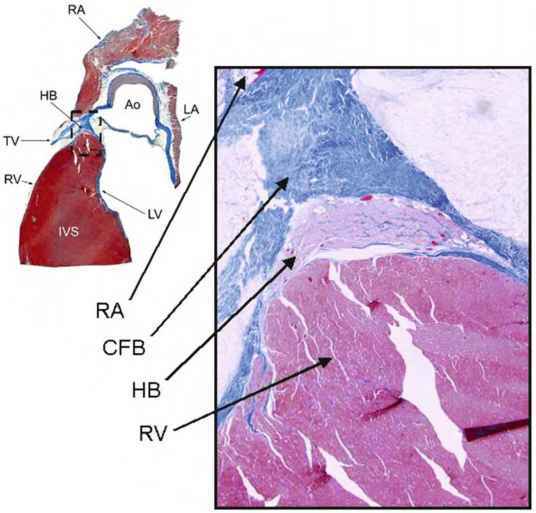 Mulitple classes in the lumen region due to laminar blood flow: The lumen region consists of multiple classes: core class (central part of the lumen), adjoining class (due to slow moving blood flow as seen in Fig. 9.4), and some times border pixels in the fibrous cap region giving different classes. So, the lumen region can be C1, C1 + C2, or C1 + C2 + C3 class regions. 2. Lumen shape variation: The shape of the cross section of the artery lumen is "circular" for some slices and is "elliptical" near the bifurcation. So, the ROI can change from slice to slice also. If one uses a circular ROI on an elliptical region, then a large number of pixels will be missed along the major axis of the elliptical region. The elliptical region can be seen on slice before the bifurcation zone, while the circular regions can be seen on slices far from the bifurcation zone. 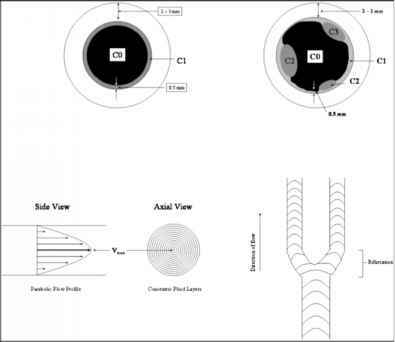 Figure 9.4: Top left: Figure showing the class CO for lumen, C1 class for low intensity flow region, and the outer wall for the vessel wall. Top right: Classes C1, C2, and C3 are the regions due to the classification process due to weak distribution of pixels in the boundary region. Bottom left: Parabolic flow of the blood showing the highest velocity in the central region of the vessel. Bottom right: Flow of blood in the bifurcation zone. 3. Over-shooting of the human tracings: Another difficulty which can bring large error is when the human tracing the ideal boundary overshoots the lumen region and draws in the vessel wall area or even outside of the vessel wall area. This "overshoot" tracing can bring large error between the computer estimated boundary and "ideal boundary." 4. Bleeding region of the lumen: The bleeding issue is a serious problem. Sometimes lumen class C1 or C2 or C3 are not isolated. These class regions tunnel into the neighboring region and bleed, creating a break in the wall boundary or a missing boundary region. 5. Partial volume effect: The partial volume effect in the edge of the lumen can lead to misleading lumen wall boundary estimation. Figure 9.5: Abnormal ground truth overlays. The top row in each row pair is the left carotid artery overlayed with the ground truth tracing of the inner lumen wall, and the bottom row is the corresponding image of the right carotid artery. Some lumens have a circular shape, while others have an elliptical shape.